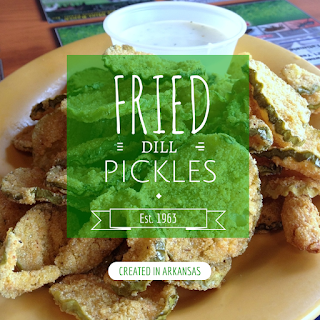 Bernell Austin, the Duchess Drive-In & Fried Pickles. Atkins was once known as the Pickle Capital of the World. In 1945, the Goldsmith Pickle Company located a plant in the town. Fifteen years later, a guy by the name of Bernell Austin leased a parcel of land from the Griffin Oil Company for ten dollars a month, set on building a restaurant. The little eatery called the Duchess Drive-In was pink and popular with plant employees who’d drop by after work. Austin, known as “Fats” or “Fatman” to many of his constituents, looked for ways to increase business. In 1963, he struck on a new idea, battering and deep-frying hamburger dill slices and selling them for fifteen cents for a basket of fifteen. 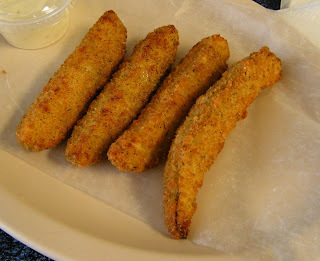 Thus the fried pickle was born. Austin wasn’t happy with that first recipe. 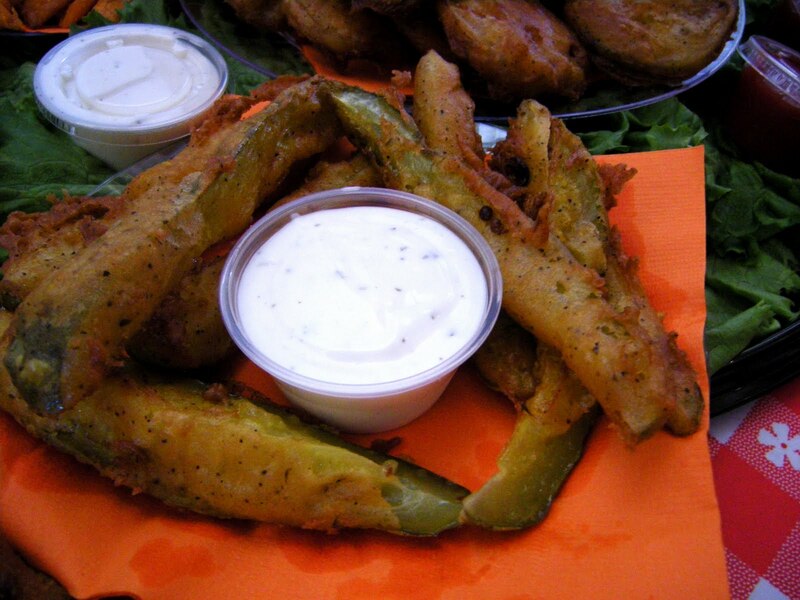 He tweaked it and eventually settled on slicing dill pickles the long way and dropping them into a spicy batter before deep frying them to a golden brown. The recipe remains a family secret, though many claim that the Old South in Russellville has gotten ahold of the formula. With the coming of the new interstate, Austin decided to line up and take advantage of the better traffic, building a new restaurant called the Loner Drive-In out toward the overpass and opening it in 1968. He closed the Duchess Drive-In in September of that year; two weeks later, an eighteen-wheeler ran into the building and destroyed it. Austin continued to operate the Loner Drive-In until he retired in 1978. He passed away in 1999. 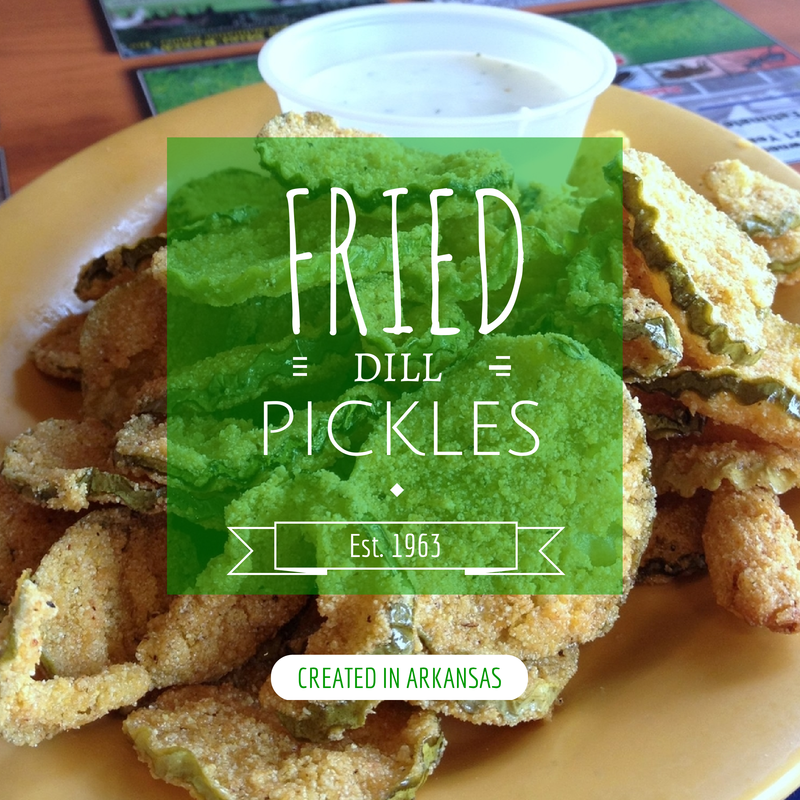 Today, the recipe is definitively used at the Atkins Pickle Festival, held over two days every May. The family estimates some 2,500 orders are placed during the event each year. Now, I would not claim to know Austin’s famed recipe. But I do know the recipe that’s been taught to me, and Stephanie Wilson has one of her own. Both are below. Feel free to give them a try. Beat your egg, adding a ½ teaspoon of the dill weed and about a tablespoon of the pickle brine. Mix the cornmeal and flour, adding the other ½ teaspoon of dill weed and salt and pepper to taste. Dredge the pickles in the cornmeal and flour. Coat them in the egg mixture and then dredge in the cornmeal and flour again. Freeze for about an hour. Deep fry these until golden brown and serve with ranch dressing. Sift dry ingredients together in a bowl. In a separate bowl, whisk liquids and egg yolk together and then incorporate into dry ingredients. Set in the refrigerator for 30 minutes to 1 hour. Heat oil to 375 degrees. Working with about a ¼ of the pickles at a time, drop slices into batter and stir around. Using a slotted spoon, remove from batter and carefully place into hot oil. Fry for one to two minutes (like fried okra). Serve warm with ranch dressing. Love fried pickles!!! Will be trying this today! My mother bought and operated the Loner Drive-In until she closed it in the late 1990s. Our family still has the original recipe! 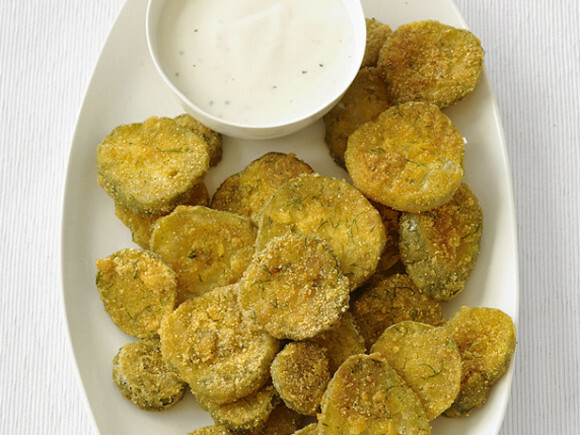 Love those fried dill pickles! Bernell Austin, why don't you put whatever it is you fry you pickles in a bag and start an inernet business? You could do a sample test sale at the walmart stores in AR, OK, MO, TN, TX....etc. of course you'd have to list your ingediants and explain on the bag how to fry them.